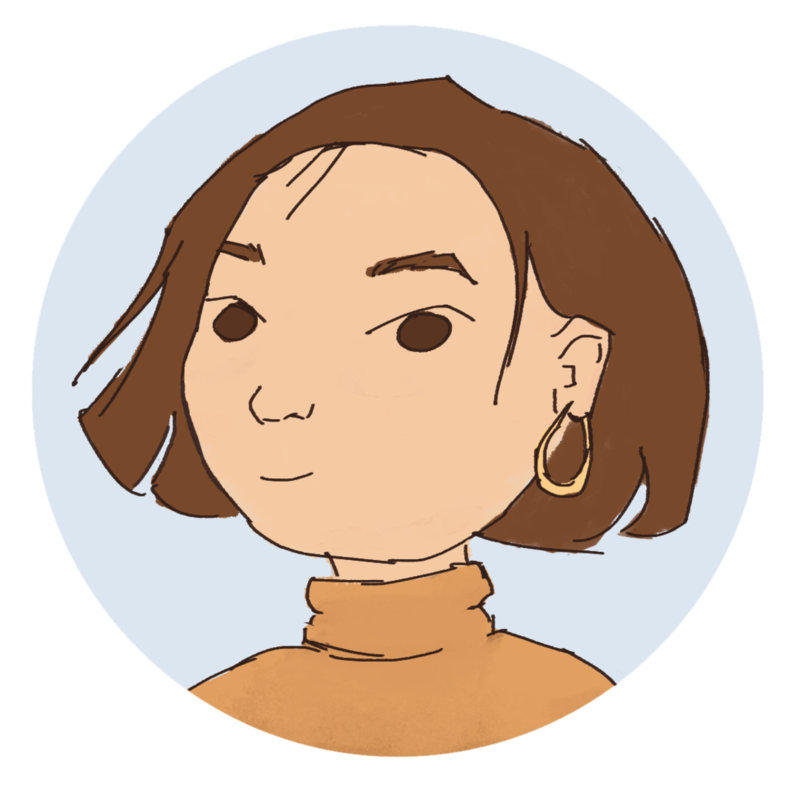 My name is Jessi Xiong and I’m a Hmong American artist currently studying animation at Massachusetts College of Art and Design (MassArt) in Boston. I love storytelling, friendship, and dancing. My favorite smell is basil. Where is your family from, and how and when did they arrive in the United States? Did they ever talk about their experiences of being refugees? My maternal grandparents grew up in the mountains of Laos. After the Secret War, along with many other Hmong, they fled persecution from Communist soldiers by risking their lives to cross the Mekong River to Thailand. They were some of the lucky ones that survived the journey. Many others were not so lucky; they drowned, starved, or were shot. Many were robbed as soon as they crossed the border. My mother was born in the Ban Vinai refugee camp in Thailand. I don’t keep in contact with my father so I can’t speak for his family’s history. From Ban Vinai my grandparents and mother traveled to Bangkok, then Alaska, California, and finally to Tennessee, where their sponsor lived. Growing up, my parents didn’t really talk about the refugee camps at all (they were too young to remember anything anyway), but I do remember my grandparents sharing little pieces of their refugee experience, you know? Things like, how my grandma took care of the younger children and ate whatever she could find while hiding in the jungle, or how my grandpa would help the Hmong soldiers protect the other refugees. It’s funny, I remember how my grandpa would always talk about how he was part of the CIA, and the younger generation, including my mom and her siblings, would always laugh because it sounded so ridiculous. When I grew up and learned more about Hmong history years later, I realized that he really had worked with the CIA, and I immediately told the rest of my family that. I felt so bad that we hadn’t taken him seriously. It really wasn’t until I interviewed my grandparents last year for an oral history project that I truly got a full picture of their experiences. They were really eager to talk about their past; I’m definitely lucky, since I know that for a lot of refugees, recounting their traumatic experiences is too painful. I think they were willing to talk about the past because they want our culture to live on. They want our history to be widely known and never forgotten. What was it like for you growing up Hmong American? In what ways do your parents or your culture shape your identity? It was hard, honestly. There were no other Hmong people (and barely any Asian people) in the small town I grew up in Illinois. My parents wanted me to assimilate into American culture, so they didn’t push me to learn Hmong, and since I wanted to fit in with my peers, I was fine with that. On special occasions, like the Hmong New Year, we’d travel to Minnesota or Wisconsin and go to events with big Hmong communities. It was fun, but because I never learned Hmong, I always felt like I really didn’t belong. I was stuck in this terrible in-between place where I wasn’t Hmong enough in the Hmong community, but not American enough in my white neighborhood. I always loved the food my grandma would make though. Eggrolls and pho, mmm. That’s my comfort food right there. These days, not being able to speak my language makes me so sad and regretful; I feel like I’m missing an important part of me. I wish I could time travel and tell toddler Jessi that she has to learn Hmong, that she needs Hmong, that she’ll regret it if she doesn’t try to learn it now. But I haven’t given up. I’m determined to learn it and speak it fluently. It’s not easy since it’s not a widely-spoken language, but I think that motivates me even more, because I don’t want our language to die out. When my people lived in southern China, before my grandparents were even born, we were targeted for genocide and forced to assimilate into the majority’s culture; our original written language was lost. Yet, here we are: survivors. I feel a great responsibility to keep our culture and history alive; it’s a positive thing, though, not a burden. It gives me purpose. Keeping Hmong culture alive is so important to me now. What are your thoughts on the lack of Asian American/Southeast Asian American/Ethnic Studies in most schools? Did you ever personally learn about Hmong or Hmong American history in your history classes? It makes me mad. I have so much pent-up rage from the fact that I never once read the word “Hmong” in my school history textbooks. Maybe there was one paragraph? But clearly it was so insignificant that I can’t even be sure. To think that thousands of Hmong people risked their lives and died for this country, yet Hmong people have one of the highest poverty rates in the U.S., and the majority of the American population has no idea of our existence...it’s infuriating. The lack of Asian American studies in school contributes to all Asian Americans being viewed as a monolith. We’re rarely seen as multifaceted individuals. It leads to us being stereotyped as academically-gifted, wealthy, and successful, which then leads to the neglect of problems that many (mostly Southeast) Asian Americans face, like poverty and poor access to education. The first time I got to read about Hmong people in school was when I took a class on the Asian Diaspora in college. Taking that class was one of the best decisions of my life. I bonded so much with my classmates and learned so much. We were all Asian, which was great on one hand because we could all personally relate, but on the other hand, it made me sad that non-Asian people weren’t interested in learning about us. We had learned about white history for over half our lives; it seemed that the least white people could do was learn about us for one semester. For anyone who wants to learn more about our history, definitely check out the PBS documentary by Lar Yang and Lue Vang, The Hmong and the Secret War. Also, The Making of Asian America: A History by Erika Lee is a great book for learning about Asian Americans in general. Was there ever a moment when you felt extremely ashamed to be Hmong American/Southeast Asian? Or extremely proud? God, for the first question, honestly? Eighty-percent of my life has been filled with internalized racism, self-hatred, and shame. I felt like an alien for most of my life. There’s an old picture of me wearing traditional Hmong clothing as a toddler, grinning proudly. I’m pretty sure it was shortly before I started going to school and realized that I was different, in a bad way; that’s when I started rejecting everything Hmong. I was ashamed of being Asian. As a little kid, when I drew myself, I drew myself as white, with dark hair, but blue eyes. Whenever my “friends” saw an Asian person on TV, they’d say, “Oh, that’s you!” Classmates would point out my ugly Asian features. I remember when I was in dance class, surrounded by white girls. I remember looking at my face in the wall of mirrors, just hating every part of it. My skin was too yellow. My nose was too flat. My eyes looked wrong, just completely wrong. I seriously wanted to scrape off my face I hated it so much. When my grandparents would speak Hmong or play Hmong music in public, I would try to hide; I was so ashamed. Junior year of high school, my mom moved me and my little brother to Massachusetts. It was there that I found a community of fellow Asian kids. It was in that group that I felt a semblance of belonging, a place where I was finally proud to be Asian, before I realized something; everyone else was either East Asian or South Asian, and they were all wealthy. All their parents had college degrees, and they could afford private SAT tutors on the weekends. When I told them I was Hmong, they had no idea what that was. They were nice and welcoming, but I never really felt like they completely saw me. I began to find pride in my Hmong heritage when I started going to art school. In freshman year, I discovered that I could use art as a way to express my feelings about being Hmong. I met friends of color who saw me for who I was, friends who really listened to me when I talked about my connection to my culture. I discovered that there were other people who were struggling with generational trauma, internalized racism, and loss of their culture. Nowadays, I’m overflowing with cultural pride; I’m just so happy that I was able to make it to this point, because some people never do. Mental health, sexuality, and gender have been the most prominent topics in my life. I’ve been living with depression and anxiety for awhile now. I never got help for it until college, when I was living away from my family. When I was still living at home, my mental illness was never really taken seriously. I was told to stop moping, stop stressing out. Also, I know a lot of older Hmong people don’t believe in the positive effects of therapy and medication for mental illness. It’s sad because I know a lot of first generation Hmong people could use therapy and medication to help deal with their trauma. I think non-hetero sexualities are being accepted a little more these days, at least in my family. It definitely needs to become more normalized though. Plus, we still have pretty strict gender roles that need to be broken. I’m pansexual myself, but I’ve never formally come out to my family, just because I don’t feel it’s necessary. If I was seriously dating a woman or non-binary person, I would probably just casually mention it to them, haha. Heteronormativity shouldn’t be a thing anyway. Trans/non-binary gender identities are another touchy subject. My little brother identifies as non-binary and is still struggling for full acceptance and understanding from our family. I try to help out by educating my family, but it’s tough. People are so stubborn. Racism against other ethnic groups is also a topic that needs to be discussed more. We suffer from racism, but that doesn’t mean we haven’t been guilty of it ourselves. There’s lots of prejudice against black and Latinx people that needs to be challenged and addressed. For all of these issues, we need to do our part to educate our friends and family. I think that’s key. We need to have uncomfortable conversations. It’s easy to let problematic things slide just because you don’t want to cause a scene at dinner, but complacency has real, negative effects on marginalized groups within our community, and outside it. We gotta try, even if our family members are stubborn. What inspired you to pursue art? How do you hope to use your art to add to Hmong American/Southeast Asian American representation? Also, the character sketches of your family on your Instagram are so amazing - what inspired you to start doing those? Lani from the Ghost Story Project. I’ve always loved art since I was a toddler. I was just drawn to creating. I’ve always loved storytelling too. In middle school I would constantly make comics in my notebooks for my friends to read. In high school, when everyone was applying to colleges, I remember thinking, “Could I actually turn this into a career?” I figured, if I had the privilege to, I might as well try. So here I am. I’m studying animation, but really, I love sculpture, painting, and comics too. Ivy sketches from the Ghost Story Project. A big goal for me is telling the story of the Hmong people, because right now, we’re so invisible, even within Asian communities. Americans need to know our history, our culture, the sacrifices we’ve made for this country. Hmong people deserve recognition. On top of that, I want to create representation for Hmong people, and Southeast Asians in general. But I don’t just want to create historical accounts of our trauma, I want to create fun, fantastical content too. We don’t have to create art based on our trauma all the time. Art opens up the doors to so many possibilities, so why should we be constantly bound to reality? Representation is so important. I don’t want other kids to grow up hating themselves like I did, so I hope that the content I create will help Southeast Asian kids find pride in themselves. I want them to see art as a way to express themselves, too. Grandfather from the Ghost Story Project. It’s actually really funny that you thought those character sketches were of my family, because they’re actually all fictional characters! But it makes me happy that they feel that real to you. They were all inspired by me and my family though. I think taking bits of real people you know to make fictional characters gives them a lot of life. I created them for this project I’m working on, a pitch book for my own artistic development and portfolio (A pitch book is a collection of characters, props, backgrounds, and story ideas for a prospective project. You usually show it to someone higher up who can give you the funds to make that project a reality.). I might actually turn it into a comic; we’ll see. I nicknamed it the Ghost Story Project because I started the whole idea with the word “ghost story.” Basically, these kids go to a family reunion in the woods, get separated from the group, and stumble upon supernatural happenings. Who are three of your favorite Hmong American/WOC artists whose work that you recommend we check out?